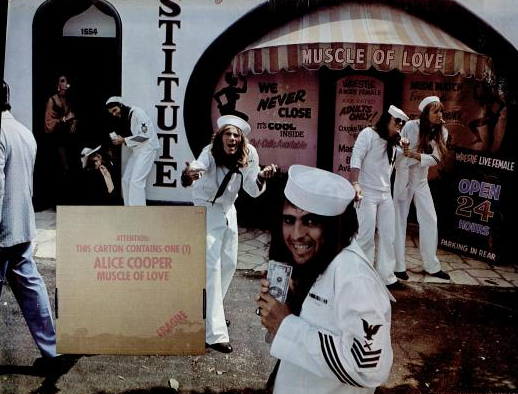 This week Mike and Kelly wrap up the albums from the original Alice Cooper group with “Muscle of Love”. While it has some high points, both agree this was less than a stellar way to bring this chapter of the Alice Cooper story to an end. Kelly insisted we include the song “Crazy Little Child” from this album in the post…. 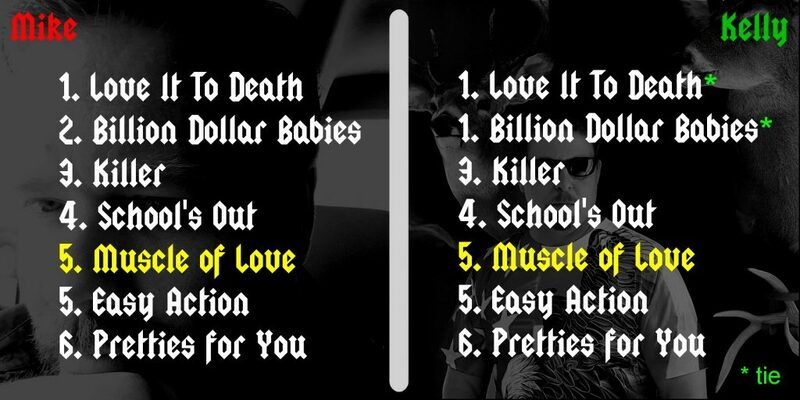 New feature: Each review Mike and Kelly will be selecting what song on the album would Pat Boone choose to cover. The winner this week… “The Man With the Golden Gun”. Tagged Alice, Alice Cooper, muscle of love. Bookmark the permalink.